This is so great! 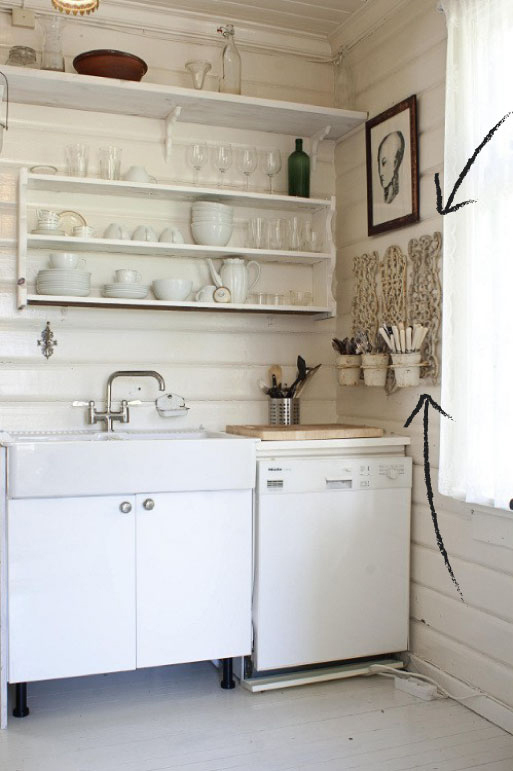 I love that they were able to take old ironwork and turn it into something practical and useful in the kitchen. It's added elegance, character, and architectural detail to this otherwise nondescript space. Another way to incorporate iron elements into the kitchen is to find old brackets and use them as supports for open shelving. You can find metal pieces like this at local architectural salvage yards, flea markets, or even craigslist.